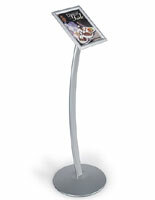 Curved stand adds to tasteful décor. "Snap- open" frame for speedy advertising changes. Non-glare lens included for clear sign viewing. 8-1/2" x 11" sign frame; graphics go from printer to sign frame! 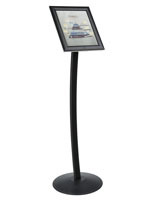 This sign frame has a sleek look with its curved stand and black finish. 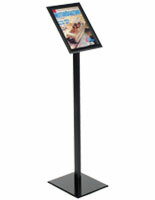 The sign frame holds any advertisement, display, or graphic to capture a customer's attention. Place a sign frame in heavily trafficked areas to get your advertisements noticed. 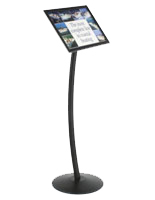 A sign stand, such as other poster stand displays, or advertising signage are commonly seen in hotels and museums. 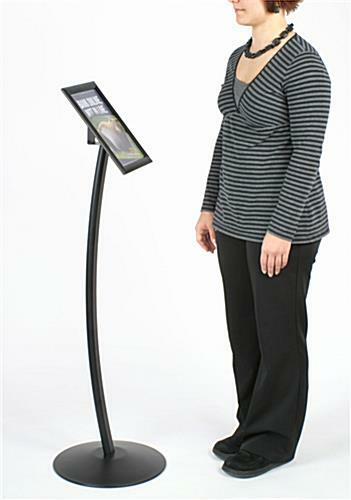 This sign frame, including its base, frame and stand, is approximately 47" high. The sign frame has a viewable area of 7-3/4"w x 10-1/4"h. Changing your graphics with this sign frame is a breeze! 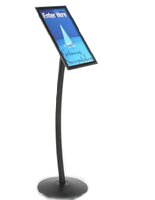 We provide each sign frame with a clear, glare-resistant lens to cover your displays. To change artwork, snap open all four sides of the frame, and slip your advertisement under the clear lens. Lastly, snap the sides shut, and your sign frame stands are ready to be displayed. 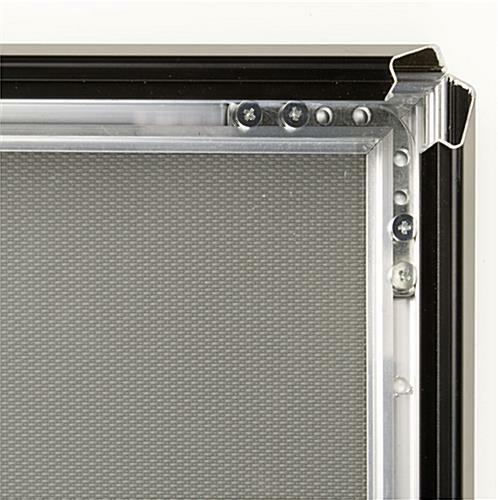 The sign frames ship unassembled, in effort to save you money on shipping and labor. 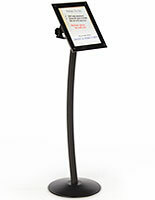 We are supplying every sign frame with complete instructions and hardware for assembly. Set up is easy, and takes only a few minutes to construct. 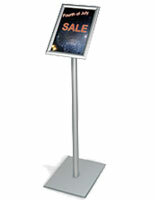 This cost-effective sign frame is an ideal choice for advertising displays. Just received our 8 stands. No issues in unpacking or assembly. Shipping was fast as well. 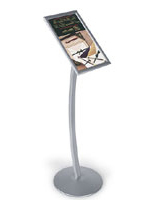 The stand are nice looking, sturdy and easy to insert or remove paper. Stand is beautiful, the only disappointment I had, was it was delivered 1 day late. That would be a FEDEX issue, but other than that the stand is great. Hi Fran, Thank you for your review. It's easy to build and exactly what I expected. Would have liked to be able to attach a a rack card holder to the stand. Overall good product. Hi Gary, Thank you for your review.